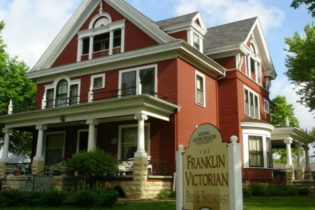 Welcome to Cameo Rose Victorian Country Inn located between vibrant Madison WI and New Glarus! 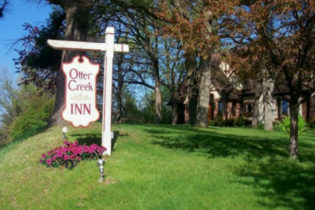 What a difference a night makes at Cameo Rose Victorian Country Inn – a Madison, Wisconsin area bed and breakfast and award-winning, relaxing getaway on 120 scenic acres of woodlands, meandering trails, lush gardens and the “Best Beds” per guests and “The Best Breakfast in the Midwest” ~ Arrington’s. Ideally situated minutes from Madison and the University of Wisconsin, New Glarus – America’s Little Switzerland, Mount Horeb – Little Norway, Verona’s Epic campus and near 4 state bike trails. The inn offers affordable luxury and distinctive fireplace and whirlpool rooms. Book Direct Now! A stress-free world of immense peace and beauty awaits you at our Madison, WI area country home nestled amidst rolling hills, picturesque woodlands, spectacular views, miles of private trails, gardens, gazebos, serenity pond, soothing waterfalls and stargazing. 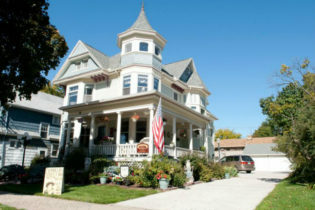 Lazy Cloud Bed and Breakfast in Lake Geneva, Wisconsin is the perfect place for your honeymoon or romantic getaway. 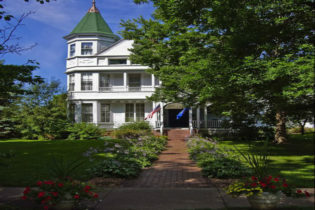 Located in southeastern Wisconsin, this unique property offers two types of accommodations, including eight suites and two rooms at the B&B and nine suites at the inn. 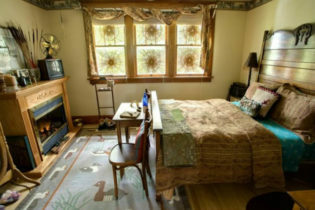 Each room is decorated in an individual theme with a whirlpool for two, fireplace, queen bed, a daybed or love seat for lounging, and a small dining area for two. 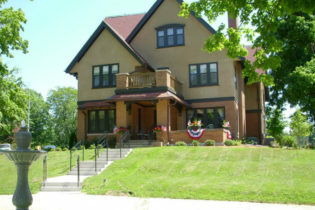 The B&B is located near many activities and attractions, including beautiful Lake Geneva. Welcome to the Romantic Lazy Cloud Bed and Breakfast of Fontana, Wisconsin. 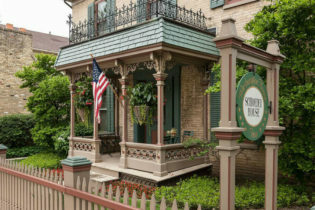 Catering to couples of all ages, our bed and breakfast is the ideal place for your honeymoon, anniversary, birthday, or romantic getaway. 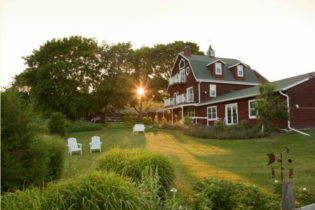 The inn offers a variety of romantic amenities, including chilled champagne or wine, Mini Caramel apple pie, or hand dipped chocolate covered strawberries, raspberry meltaway chocolates, fluffy bathrobes and scented bath products. At the Bed and Breakfast each morning we serve an expanded continental breakfast that can be enjoyed in the dining room, on the patio, or in the privacy of your guest room. At the Inn delicious gourmet muffins, small pastries, and orange juice will await you in your suite, along with complimentary coffee, and cocoa to enjoy whenever you like. 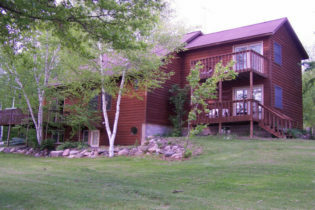 Welcome to Pleasant Lake Bed & Breakfast located near Osceola, WI in the beautiful St. Croix River Valley; on 20 wooded acres overlooking Pleasant Lake.Relax in one of our three cozy guest rooms, with private baths and some with double whirlpool tubs, perfect for couples. 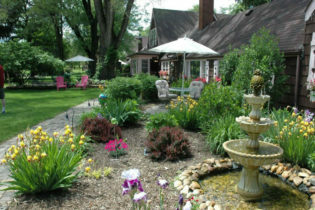 Welcome to Pleasant Lake Bed & Breakfast set on 20 wooded acres overlooking quiet, peaceful Pleasant Lake. We are located near Osceola, WI in the beautiful St. Croix River Valley. 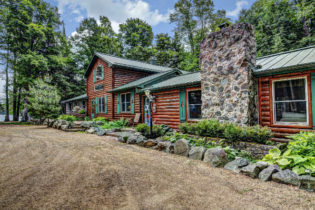 While our guests, you may stroll leisurely along the lake shore or the wooded paths, canoe the lake, feed our hungry fish from the dock, sit around the crackling campfire with the stars reflecting on the moonlit lake then relax in your fireside double whirlpool and let the songs of nature sing you to sleep. 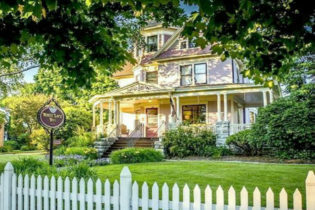 The Sweet Autumn Inn is a charming 1910 American Foursquare home in Lake Mills, Wisconsin, just half an hour east of Madison. The house features distinctive old world craftsmanship, and is set on an acre of pristine country land with towering pines, maples, and oaks, among others. Just a short walk to Sandy Beach and Rock Lake - a great opportunity for bird-watching, water activities, and fine dining. Lake Mills Golf Club is right across the street! 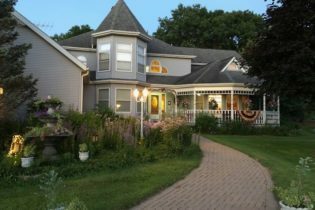 Welcome to the Sweet Autumn Inn, a charming 1910 American Foursquare home in Lake Mills, Wisconsin. You will feel like you are fully in the country, yet you are only a few minutes from downtown shopping and restaurants, and just 30 minutes from Madison. The house is characterized by exquisite old world craftsmanship, and is set on an acre of land featuring pine, maple, and oak trees as well as a lily pond. Nature enthusiasts will enjoy the wide variety of birds that visit the property. It is only a short walk to Sandy Beach and Rock Lake – with swimming, fishing, boating, and the Sand Bar restaurant, a local favorite. 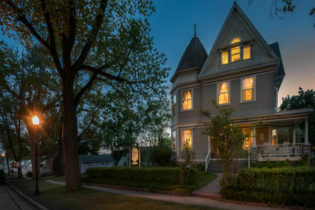 The three guestrooms are warm and inviting, and all have private baths and fireplaces. 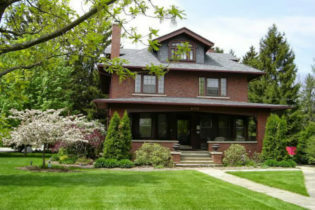 Guests also enjoy relaxing in front of the large fireplace in the living room or on the wicker chairs on the veranda.